A complete list of my publications may be found here. 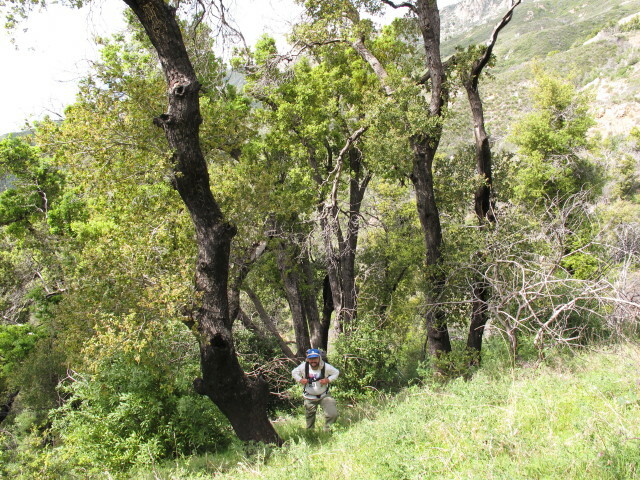 Coastal California forests have experienced extensive mortality from Phytophthora ramorum, the causal agent of sudden oak death (SOD). This mortality is concentrated in a few key hosts, leading to long-term transformations of forest diversity and dynamics. SOD is a novel biotic disturbance in a system shaped by several historically occurring disturbances such as wildfire. The addition of much disease-killed woody material impacts fire severity and forest recovery and the interaction of these two disturbances leads to cascading effects on other species in the forests. Metz, M. R., J. M. Varner, K. M. Frangioso, R. K. Meentemeyer, and D. M. Rizzo. 2013. Unexpected redwood mortality from synergies between wildfire and an emerging infectious disease. Ecology. 94(10):2152-2159. pdf Featured in Conservation Magazine’s Conservation This Week and NSF’s Discovery series. Many of the most prominent hypotheses about the maintenance of tropical forest diversity describe processes that occur early in a plant’s life history. 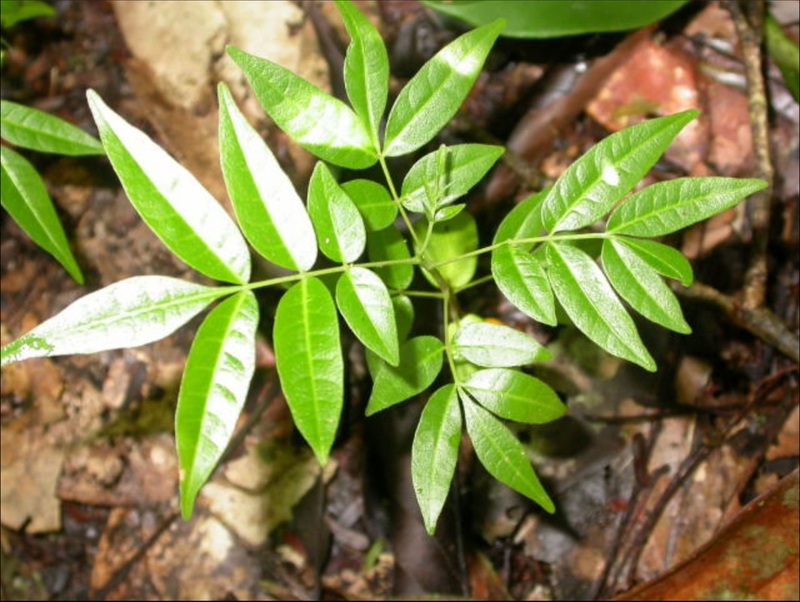 To understand the role that seedling dynamics play in determining forest composition, I have conducted detailed monitoring of regeneration within the long-term forest dynamics plot in the hyper-diverse Yasuní National Park, Ecuador since 2002. In this research, I ask how the abiotic environment, biotic interactions, and spatiotemporal variability influence seedling dynamics and the consequences for forest diversity. I have been collaborating with Paul Fine and colleagues to examine the role of environmental gradients and biotic interactions in the evolution of species diversity in Amazonian forests. This work has focused on the steep habitat differences experienced across forests of different soil types (white sand vs. clay or brown sand). Specialization to different soil types has evolved independently multiple times in plant lineages. The structural, compositional, and productivity differences among these habitat types also lead to high turnover in herbivore and bird faunas. In several collaborative projects, I am investigating how differences among species in functional traits influence forest diversity and dynamics. How do fruiting, flowering and seedling dynamics vary among years? Are there signals of directional changes related to global change? Together with Nancy Garwood (Southern Illinois University), Helene Muller-Landau (STRI), Renato Valencia (PUCE, Ecuador), Joe Wright (STRI) and Jess Zimmerman (University of Puerto Rico), we are amassing long-term datasets of plant reproduction and seedling recruitment across sites in Puerto Rico, Panama, and Ecuador, which differ in seasonality, diversity, and disturbance regime. The same methods are used at each of these sites and at several other sites that are part of the Center for Tropical Forest Science at the Smithsonian Tropical Research Institute. More on the project and our findings is available at our collaboration's website.